November is Aviation History Month and the Air Navigation team will take you guys on a little trip down in history. It's important to know where we've been to see how far we've come as an industry. Thousands of years ago, humans capable of flight was just a thought, a possibility, a story or a dream! Ancient civilizations thought that flying meant putting on bird wings and flapping them while jumping off high ground. Leonardo da Vinci, one of the most advanced visionaries of the Renaissance period, made drawings illustrating the possibility of flight or flying on machines but he died, not even getting to see a glimpse of the studies that came after his notes. It's astounding how times have changed, and now, not only are humans capable of going from one place to another in the means of flight, but the aviation industry has grown and prospered. Newer, better, faster and more advanced aviation technologies are being released and introduced every year. 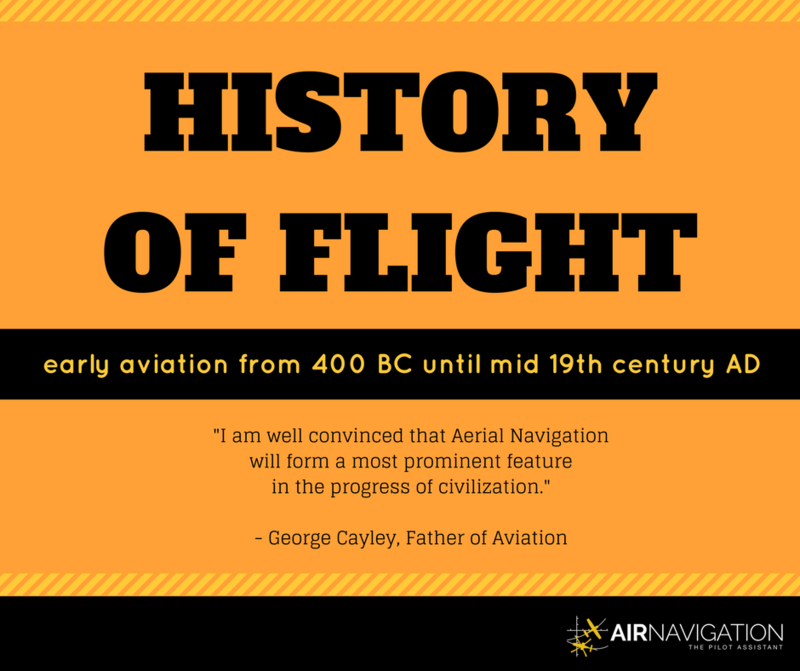 We are happy to show you an infographic our team created for the Aviation History Month celebration, featuring the 6 must-know milestones of the earliest flight attempts and flying inspirations until mid 19th century. The Chinese were known for a lot of innovative products such as paper and fabric. They were also the first people to use kites made out of light wood and cloth, made to mimic the bird's natural flight. According to studies, the first kites were used for military purposes like measuring land in order to plan on how to advance the army. Ancient kites had other practical uses such as calculating and recording wind readings; and provided a unique form of communication akin to flags as signals to ships. 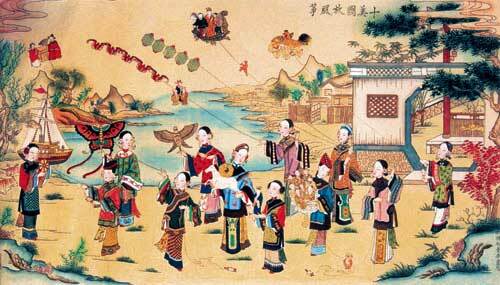 Kites were also used in various traditions and ceremonies. During ancient times, the Greeks were known for their mythologies and folklore, which were adapted by the Roman Empire upon their reign. One of the most notable stories was about a man named Icarus, who tried to escape Crete using feathers waxed together to form wings. Ignoring his father's warning, he flew too close to the sun, melting the wax on his wings and plunging into the sea below him. In a case of art imitating life, that story could have been a mirror to ancient thoughts, people possibly attempting flight with feathers. The aeolipile or Hero's engine is considered to be one of the first known steam engines or reaction steam turbines. The name is derived from Aeolus, the Greek god of the air/wind, and pila, Latin word for sphere or ball. Hero of Alexandria described this device in Roman Egypt back in 1st century AD, and numerous historical sources often credit him for its discovery. Although there have been other writings regarding a similar device, Hero's was more detailed and more descriptive. The Ornithoper was one of the many illustrations by Renaissance painter and innovator Leonardo di ser Piero da Vinci, better known as Leonardo da Vinci. The word ornithoper comes from ornithos, Greek word for bird, and pteron, which means wing. Like Icarus, the ornithoper was designed to fly by the use of mechanical force to imitate the flapping of a bird's wings. 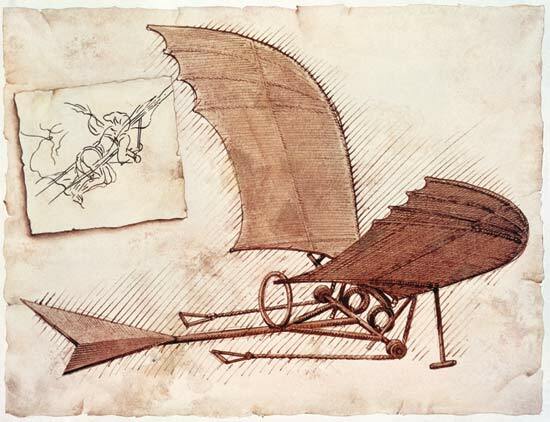 In his lifetime, Leonard da Vinci made sketches and illustrations of "flying machines", and although he died before any of these could come to fruition, a lot of the initial studies on aviation and mechanical flights were fashioned after his visions. 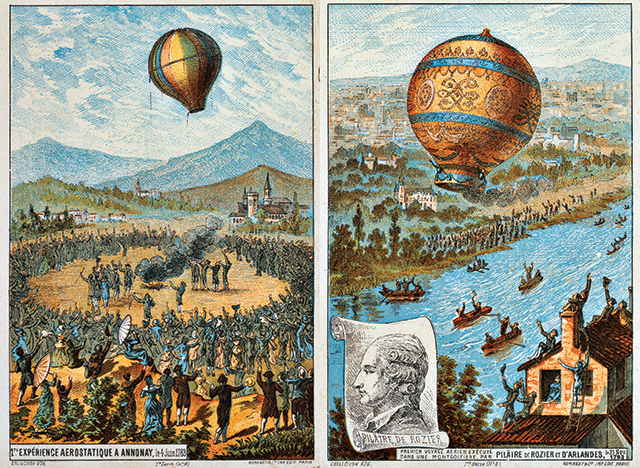 Much like the Orville and Wilbur Wright, two brothers, Joseph Michel and Jacques Etienne Montgolfier, were inventors of the first hot air balloon. The first passengers in the colorful balloon were 3 animals: a duck, a rooster and a sheep. They used the smoke from a fire to blow hot air into a silk bag, attached to a basket. It flew to a height of about 6,000 feet and traveled more than one mile. After this initial success, the brothers began to send men up in hot air balloons with its first trip on November 21, 1783. 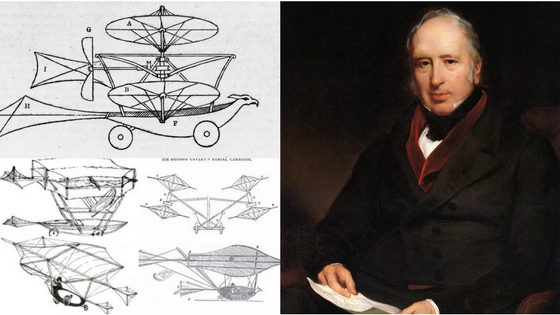 Perhaps one of the most influential figures in early aviation history, Sir George Cayley is considered the father of aerodynamics. He tested principles of wing spans, weight, lift and drag; and he also created the first successful human-carrying glider. In his lifetime he has created a lot of gliders, and he had also said that in order to maintain long flights in the air, there is a necessity for mechanical assistance. His lifetime of studies helped catapult and start what would be known as the aviation industry today. Did you guys learn something new? How are you celebrating Aviation History Month? Send us a message in one of our social media accounts Facebook, Instragram or send us an e-mail at demi@airnavigation.aero. Do you have a cool Air Navigation Pro story you want to share? Send us a message in one of our social media accounts Facebook, Instagram or send us an e-mail at gama@airnavigation.aero.